For runners, one of the biggest hurdles is picking up the pace and crossing the finish line of a half-marathon (13.1 miles) in under two hours. It’s a feat more than 50 percent of runners on running app Strava have accomplished and something that—through both an online community and a challenge called Project 1:59—the company hopes to help more runners achieve. First, the basics: In order to run a sub-two half, your race pace needs to be in the range of 9:05 to 9:10 per mile, says Janet Hamilton, C.S.C.S., a run coach based in Atlanta, GA and owner of Running Strong. And while all distance requires building endurance, a sub-two goal isn’t overly lofty. If you’re already a nine- or 10-minute miler, you have the fitness to get there, assures Ellen London, a Boston-based run coach with Heartbreak Hill Running Company. Running a half-marathon in under two hours, of course, also requires arriving at the start line healthy, uninjured, properly fueled and hydrated. Here, run coaches outline how to get there. Just as every runner is different, every training plan is different. What yours looks like will depend on a multitude of factors (whether or not this is your first half-marathon, how much speed you’re looking to build, and what your fitness base looks like, to name a few). Working individually with a run coach (you can find one here or even by asking around at your local run shop) can help you come up with the best plan for you. But the first element of any plan, says Hamilton, is to build a solid foundation of anywhere from 25 to 45 miles a week including a few long runs (in the 11- to 16-mile range depending on your ability). You want to build mileage both slowly and systematically, Hamilton says, perhaps by 10 percent each week. London recommends giving yourself 12 to 14 weeks to train for a half, depending on your skill level (the lower end of that if you’re a more advanced runner). “This time frame gives you enough time to build up fitness and speed while also leaving a week or so as a buffer since life tends to get in the way of training,” London says. During this time period, you might do four to five runs a week, including one speed day, one tempo day (middle-distance runs that are comfortably hard), one slower long run, plus one to two days of cross training (cycling or yoga), and one rest day, says London. On speed and tempo days, you’ll want to work well under your goal race pace, anywhere in the eight- or seven-minute range. “You use these days to build speed and push your lactate threshold,” says London. And take long runs one to two minutes slower than goal pace, she says. As training progresses, you can build in four to eight miles of goal-pace efforts into your long runs, she suggests. Advance your speedwork from short interval work in measured doses to dialing in your splits within 5 to 10 seconds a mile of your goal pace. The key: You want to make sure you know exactly what race pace feels like, Hamilton says. You’ll also want to make sure some of your routes have hills, which will help you build hip strength, endurance, strength, and protect against injury. Bank 10 to 14 days to taper your training down, too, cutting back on both effort and distance in your long runs. Once you’re finally toeing the line, every run coach will tell you this: Don’t go out too fast. 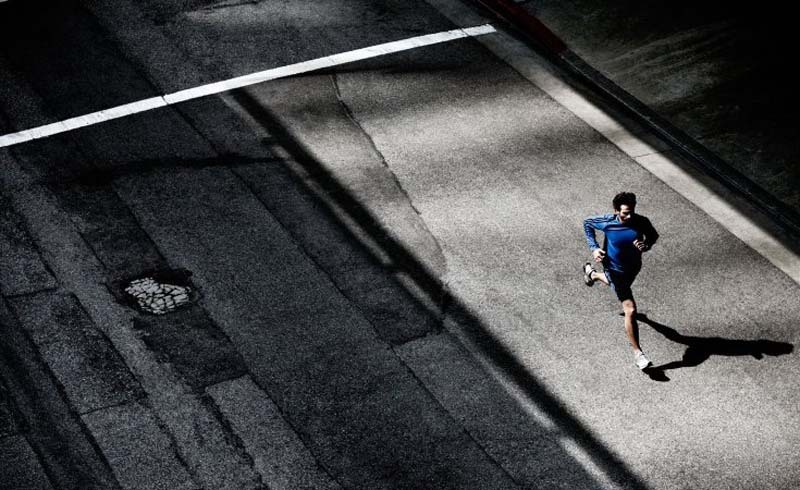 It’s one of the most common mistakes runners make and a surefire way to burn yourself out. In fact, do the opposite: “Allow yourself to be a little slower than target pace in the first mile when things are crowded,” says Hamilton. As soon as things thin out a little, lock into your pace, she says. Throughout the race, to be safe, London suggests shooting for nine-minute miles, allowing yourself to drop or add 10 to 15 seconds on either side: “Opt to nail your goal pace on the flatter sections, while building in some extra time for obstacles like hills and water stops,” she says. And don’t panic if you clock a slow mile. “In order to run 1:59, you need to run an average pace of around 9:09, but that’s not your set pace for the entire race,” reminds London. If your course is hilly? Run primarily by effort, suggests Hamilton. “Research indicates a consistent effort each mile on race day is the best way to achieve your goal,” she says. What that means: Even if you finish a very hilly mile with a 9:30, if you face that section with the same effort as you do a later downhill (where you might hit a sub-nine mile), you’ll even things out. You should also anticipate that the end of the race will supply you a burst of energy, too, says London. Most importantly, while it can be difficult, try not to let an overall number—that 1:59—get in your head.